Mullard Ltd was a premier manufacturer of electronic components. Founded in 1920 in Southsfield, London, Mullard became known world wide for their reliable, high-quality components and vacuum tubes or “valves”. The Blackburn factory in Lancashire was the source for Mullard’s best sounding tubes. Vacuum tubes constructed in Blackburn are considered to be some of the most influential audio tubes ever made. The most famous of these include the EL34, EL84, ECC83 (12AX7), ECC81 (12AT7) and others. 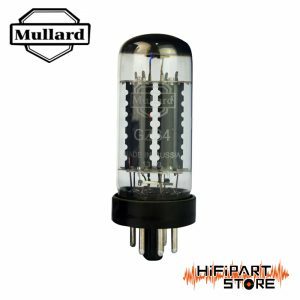 Today’s new production Mullard tubes are constructed with the same commitment to quality and reliability. 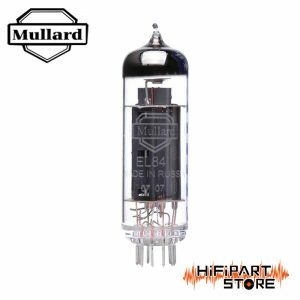 New production Mullard tubes are assembled by hand in the Reflektor factory in Saratov, Russia and their excellent performance closely mirror’s that of vintage Blackburn construction.